PotteryWorks is an exciting collective of talented painters, potters, photographers and jewelry-makers, mentored by a dedicated team of working artists, who create original works of art for exhibition and sale out of a studio/gallery space in New Westminster. Some of the PotteryWorks members receive support; while others attend independently. 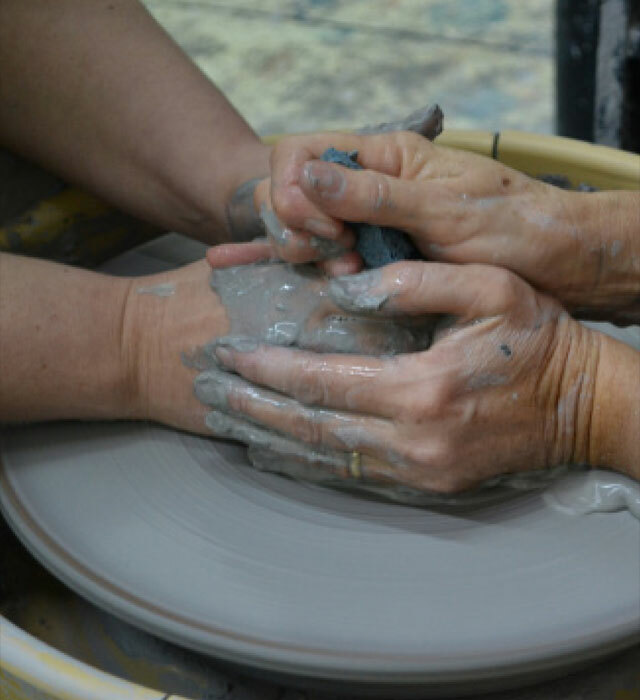 PotteryWorks provides an outstanding opportunity for people who love art and would like to learn to express their creative vision through various artistic media. The artists of PotteryWorks exhibit their work at art shows and galleries around the Lower Mainland. For more information, visit their website www.poteryworks.ca or to visit the studio, contact PotteryWorks at 604.533.7332, or click here to email the PotteryWorks Facilitator Dee Blackmore.